At Presidium, we believe in raising a generation packed with such high hopes and confidence to achieve big in life and Doorva Garg is one such living example. 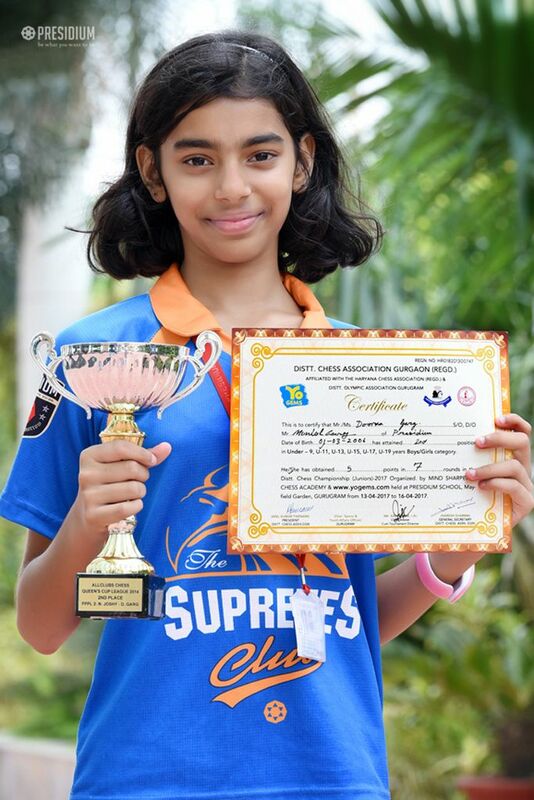 Doorva performed wonderfully and bagged the prestigious second position in under 14 girls category of SGFI Gurgaon District Chess Championship 2017. Giving a tough competition to the 25 participants from different schools of Gurgaon, she scored 3.5 points in 5 rounds. She is selected for SGFI Haryana State Chess Championship 2017, which will be held at Yamuna Nagar soon. Many congratulations to Doorva; it is indeed a proud moment for the Presidium family!